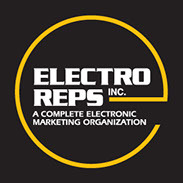 Electro Reps, Inc. provides those we represent with professional sales and marketing services. Companies have relied on Electro Reps, Inc. for over 40 years as their outsourced field sales organization. Offering Electromechanical, Latching, Miniature, Automotive and Mini Power Relays, Reed Relays, Reed and Proximity Switches and Magnets. Custom Relays. Cable Harness Design & Manufacturer. 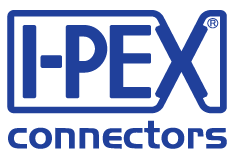 Expertise in Small Cables to Complex Harnesses Including Coaxial, Fiber, Nano, High Speed, Molded, & Pow EMS Company With Full Product Development, PCBA (Automated SMT & PTH), All Levels of Test, Box Build, Direct Order Fulfillment & Logistics, Depot Repair, F/A Lab, & Engineering Support. Certs Include: ISO-9001, AS9100, ITAR, IPC, & HubZone. Perfection in precision manufacturing technologies provide the foundation for high-data-rate and high-frequency solutions that feature very small, high-performance connectors. RF Connectors, Cable Assemblies and Switches, Micro-Coaxial Connectors, Board-to-Board Connectors, FPC/FFC Connectors, ZIF and LIF Connectors, Auto-Lock Connectors, Input/Output (I/O) Connectors, ideal for Wi-Fi®, 4G LTE, 5G, Bluetooth®, GPS, WiGig™, M2M, IoT, SigFox, WiSUN, NB-IoT and LoRa® applications.